OWINGS MILLS, Md. 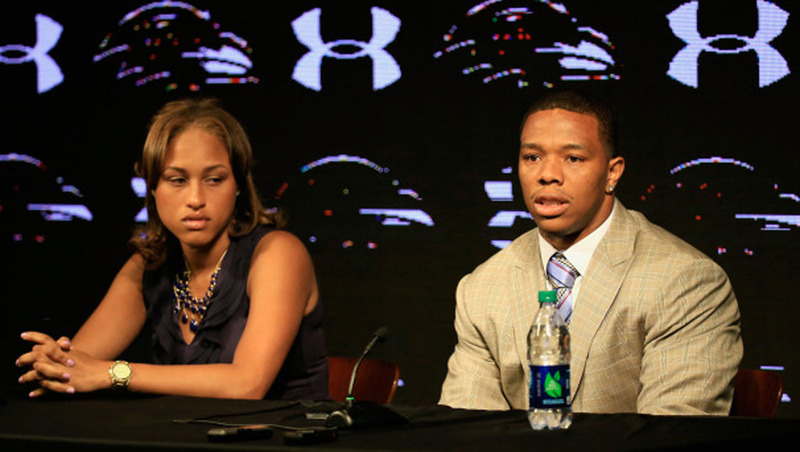 - Baltimore Ravens running back Ray Rice received a two-game suspension from the NFL on Thursday following his offseason arrest for domestic violence. Rice was arrested following a Feb. 15 altercation in Atlantic City, N.J., in which he allegedly struck then-fiancee Janay Palmer. The 27-year-old has been accepted into a diversion program, which upon completion could lead to the charges being expunged. Rice, who has played six years for the Ravens, met with NFL Commissioner Roger Goodell last month after joining the diversion program. Goodell ultimately decided to suspend the running back for two games without pay and fine him an additional game check "for conduct detrimental to the NFL in violation of the league's Personal Conduct Policy." In a letter to Rice, Goodell wrote, "Despite the court's decision not to impose criminal punishment, the Commissioner determined, as he advised Rice, that the conduct was incompatible with NFL policies and warranted disciplinary action.... This is particularly true with respect to domestic violence and other forms of violence against women." Rice's suspension will begin on Aug. 30. He will be eligible for reinstatement Sept. 12. Rice may participate in all aspects of training camp and preseason games. The running back will miss the season opener against AFC North champion Cincinnati on Sept. 7 and the Sept. 11 game on Thursday night against the Pittsburgh Steelers. "It is disappointing that I will not be with my teammates for the first two games of the season, but that's my fault," Rice said in a statement issued by the Ravens. "As I said earlier, I failed in many ways. But, Janay and I have learned from this. We have become better as a couple and as parents. I am better because of everything we have experienced since that night. The counseling has helped tremendously." Ravens general manager Ozzie Newsome said in a statement: "We appreciate the thorough process the league office used to evaluate the incident with Ray Rice.... While not having Ray for the first two games is significant to our team, we respect the league's decision and believe it is fair."